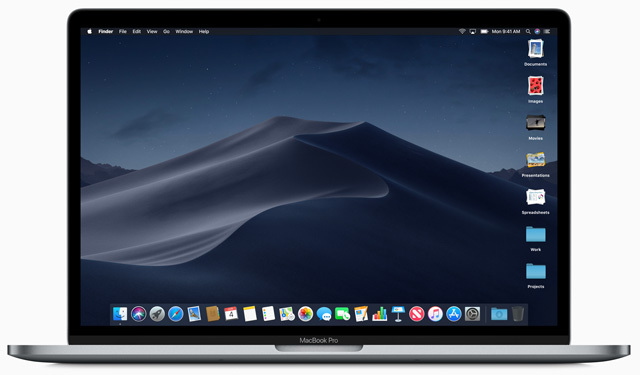 The latest version of MacOS is called Mojave, and if it looks familiar, that's because it bears some striking similarities to iOS. There have been rumors floating around that Apple was planning to merge MacOS and iOS into a single operating system. The idea isn't particularly far-fetched: Windows 10 powers both PCs and tablets, while Chromebooks can run Android apps (though not always well). When addressing the question of whether the Mac would be running iOS, Apple's answer was a definitive no. But there's no denying that Mojave has been influenced by iOS — and it even features some apps that come straight from the upcoming iOS 12. While Apple has no plans to merge the two operating systems, the company is making it easier to port apps from iOS to MacOS. These development tools won't be available to app developers until next year, but Apple is already testing it out with some apps due to debut with Mojave. Included in the mix are four apps that have been updated for iOS 12: News, Stocks, Voice Messages, and Home. Instead of making brand new versions of these apps, Apple simply took the iOS versions and, using its new development tools, modified them to run on MacOS. The results look good. These apps aren't just smartphone apps being displayed on a larger screen — they look like they were designed from the start to run on a Mac. When developers get their hands on these tools, we can look forward to having a lot more apps available on our Mac that will likely sync with our iPhones and iPads. 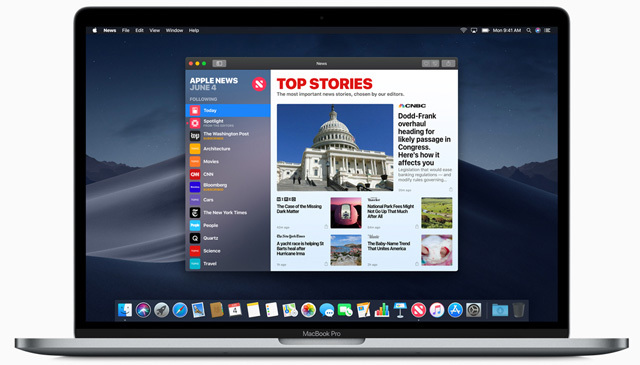 The Mac App Store is also taking cues from the iOS App Store with a big redesign that focuses on articles as much as apps. New tabs — create, work, play, and develop — all contain apps suited to the theme alongside articles about apps and using them. Though this isn't a port of the iOS store, the new design adds to Mojave's iOS feel. The changes Mojave incorporates are more subtle than sweeping, but they're changes you're likely to find useful every day. First up, the Finder is getting a refresh. A new Gallery View mode lets you view folders with a large preview panel — more like browsing a photo gallery than looking at a list of files — which makes it easy to see what you're looking for. A number of new quick actions will be available right from Finder, too: rotate images, merge files into a single PDF, and even create your own Automator actions (repetitive multistep tasks) that you can access with just a quick click. If you have a desktop cluttered with files, Apple is going to fix that, too. These files will now merge into "stacks" by file type, which you can mouse over and scroll through to find what you want. Screenshots, which typically save directly to your desktop, will now pop up as an icon in the corner of your screen — a feature that's also like iOS — where you can click to edit, save, and share them. No more clutter. Dark mode is coming, too, which will turn Apple's UI elements and apps into dark-colored versions of themselves. The grays of dark mode can be easier on your eyes, particularly at night — but they also make photos and videos really pop on the screen. 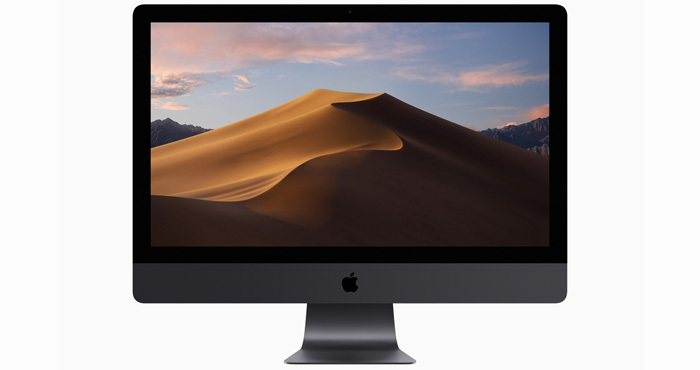 Mojave is taking steps to keep Mac users safe from online snooping. New security features prevent apps from accessing your camera, microphone, or personal data without your explicit permission, keeping you safe from malicious apps. And Safari has new tools to prevent you from being tracked online. Sites can often keep tabs on you with scripts in share buttons or comment sections that can tell who you are even if you don't click on them. In Mojave, Safari will ask if you want to give a site access to your information when you browse. Considering it's easy to be tracked without even being aware of it, these notifications will probably be eye-opening — or, more likely, annoying if they open up every time we visit a web page. Apple is shutting down "fingerprinting," too. This is another way websites can track you: by looking at unique features of your computer that act as a fingerprint that can uniquely identify your computer. Starting in Mojave, Apple will only let sites see a standard template of information, so one Mac browsing the site looks like every other Mac browsing the site. When is MacOS Mojave coming out? Apple didn't announce a release date, but typically the company rolls out MacOS updates in September.